A Temporary Restraining Order (TRO) is issued by one party in order to get an abuser to stop harassing or harming a person. A temporary restraining order is issued before a judge in court. Once issued, the court holds a second hearing where they decide if the temporary restraining order will become permanent. Since a temporary restraining order can lead to a permanent restraining order, it is important to consider. A temporary restraining order may be a good start if you are being intimidated or live in fear of your life as well as your children's. A temporary restraining order can put a stop to domestic abuse. Obtaining a temporary restraining order with the assistance of a temporary restraining order lawyer can be helpful. A lawyer can present your information and details so that your claim for a temporary restraining order can be granted. Family lawyers know the necessary forms to fill out and the different circumstances of the hearing procedure. A temporary restraining order lawyer can argue on your behalf and represent you justly. If you are filing a temporary retraining order and need the assistance of a temporary restraining order lawyer, contact Attorney Search Network today. 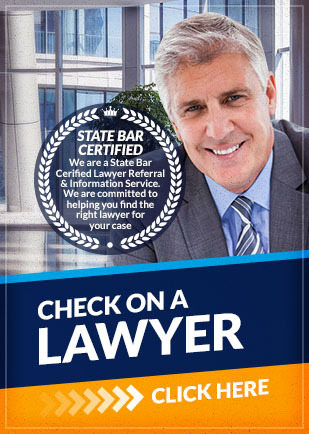 Attorney Search Network can help you find a temporary restraining order lawyer in your area.